Visual Concepts has been the best development team when it comes to NBA games and this year’s version is one I was really looking forward to. After my Cleveland Cavaliers won the championship a few months ago, I was dying to see the ring ceremony and banner being raised for the first time in a video game. NBA 2K17 has a tough time following up last year’s version, which was a solid basketball game with a very silly career mode by Spike Lee. This year Visual Concepts looks to have improved on most aspects of the game and given us a fun and not too serious MyCareer mode. The on court action is a nice improvement over last year’s version. There’s more control in the ball handling area and the gameplay is tighter. Arm length is important this time as you won’t easily slide off your opponent anymore. There are many times I’d drive to the basket or run through someone easily and it felt like I slid around them when I bodied them up. 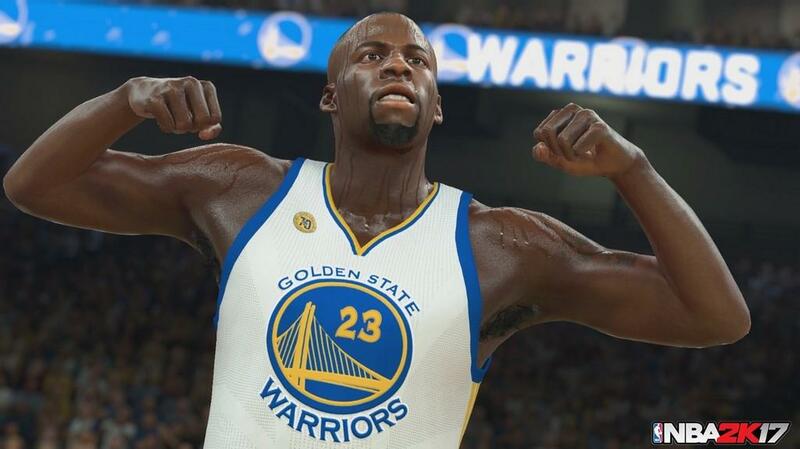 In NBA 2K17, you’ll find yourself locking arms more and it won’t be as easy to get free of your defender. 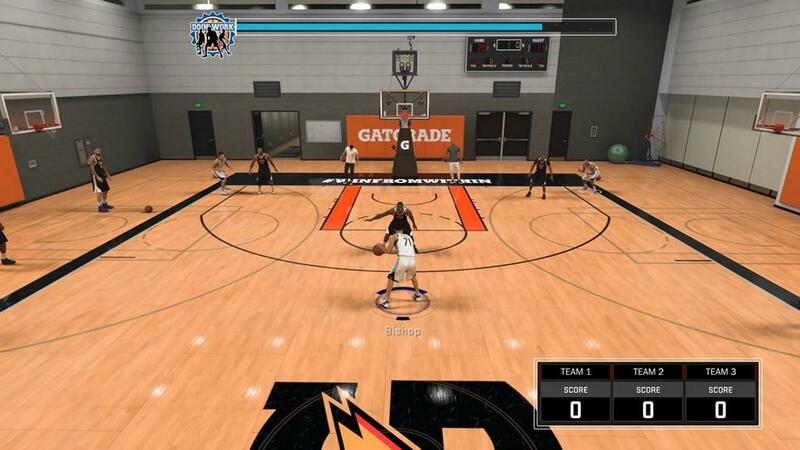 You can now do quick dribble moves with a tap of the right stick and for those with the skills, you can chain up a few moves together to try and break some ankles. If you have a player with great handles like Kyrie Irving or Chris Paul, you can really create some beautiful dribbling action with the ball on a string to free yourself for a jumper or a layup. Try it with someone without the dribbling skills and watch them fumble the ball away. Shooting has changed up a little bit and will take some getting used to. You now release the button when the meter is full, rather in a certain point. Also, there’s timing now on everything, including layups so you can blow some easy layups if you don’t concentrate on releasing at the right time. The circle under the player will even let you know if you’re in a hot zone by emitting a red glow or a cold zone by being blue. I do like how the shot meter changes based on where you are on the court and how skilled your player is. You can see it shrink the farther you are away from the basket, giving you a good indicator as to if the player’s a good shot at that area. I don’t know why the shooting indicator to make it fill the entire meter was changed from how it was though since it’s worked well for most of the previous series and it seems like an unnecessary change, but it shouldn’t take you too long to get used to when you should release the ball. Steals and knock aways have new animations, which are great to see. It’s also a lot easier for the defenders to pick off errant passes so you have to be more diligent on when you want to pass the ball. Be too nonchalant about it and you’ll be turning the ball over a ton, unlike last year’s version. You can develop a sense of when a good time it is to try to steal, making it more of a strategic part of the game rather than being more random. Also, you’ll pay if you try to steal too much either by committing a foul or being way out of position to defend. I found last year’s version’s penalty for trying to steal a lot to be too lenient so I’m glad to see Visual Concepts making an effort here to make steals both a rewarding and a penalizing experience. As with all new versions of the game, new animations and an increase in fidelity makes NBA 2K17 one of the best looking sports games to date. You’ll see signature celebrations such as ones from D’Angelo Russell or Andre Drummond, which is highlighted in NBA 2K17’s Moments trailer. The way the players shoot the ball is also motion captured to perfection, like Stephen Curry and Kyrie Irving’s unique release when shooting a jump shot. 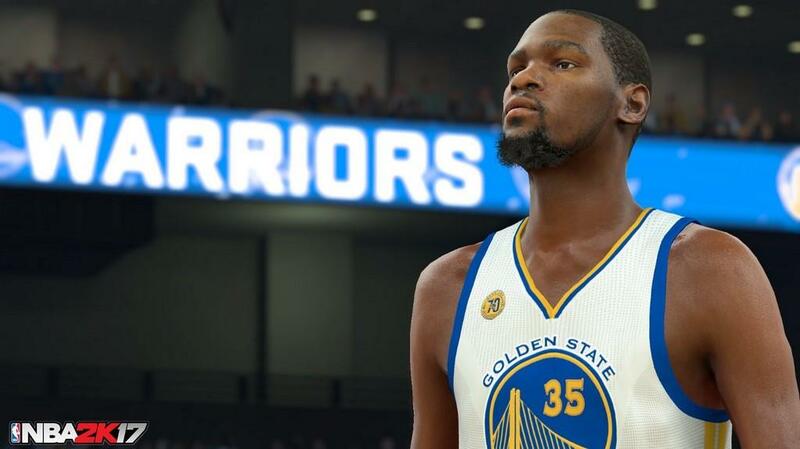 The player models look like they’ve improved a little bit and you’ll easily be able to tell your favorite superstars when they are on the court. With animations of their play mimicking how they do in real life, NBA 2K17 does a great job at the virtual players stand out like they do when you watch a game on TV. To complete the experience, the audio portion for NBA 2K17 is top notch. There’s now a rotating group of commentators so you won’t have the same team commenting on all the games. Doris Burke, Steve Smith, Chris Webber, Brent Barry, or Clark Kellogg can join Kevin Harlan and Greg Anthony to provide some color commentary to the game. NBA 2K17 is touting a new dynamic commentary system, which does well in making the dialogue seem more lifelike and flowing better. David Aldridge is now the sideline reporter, and he does a nice job here as well. Of course, you’ll get interviews with NBA stars and hear their authentic voices as they talk about various aspects of the game. The sounds of the arena are also pretty spot on from the crowds to the various sound effects that can go off during certain events. 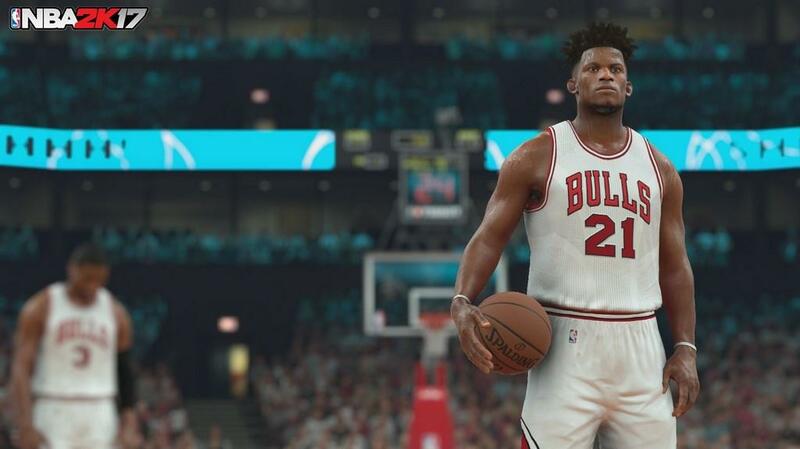 All combine to make NBA 2K17’s action on the court to be more authentic than last year’s already realistic gameplay. One thing I’ve noticed though is that a lot of times the computer will just dribble out of bounds for no reason. I’ve seen my teammates in MyCareer mode just drive the sideline and turn the ball over by stepping out of bounds without a defender even guarding them. It doesn’t happen too often, but often enough where it’s a little annoying. Luckily, it hasn’t happened in a crucial situation for me yet, but I’m sure it’s just a matter of time before it does. I’m hoping Visual Concepts fixes this issue as I’ve had it happen to me way too much. If you’re into MyCareer like I am, you’ll be happy to hear it’s a much improved experience over last year’s version. The story isn’t as hokey this time around and it’s got a slight RPG element to it. Michael B. Jordan and Coach Mike Krzyzewski are the big names here as you go from being a high school phenom to the NBA. Last year’s version was a little weird in that even though you were a highly touted high school player, it didn’t seem like you were special when going to college and it was harder to be a top lottery pick. 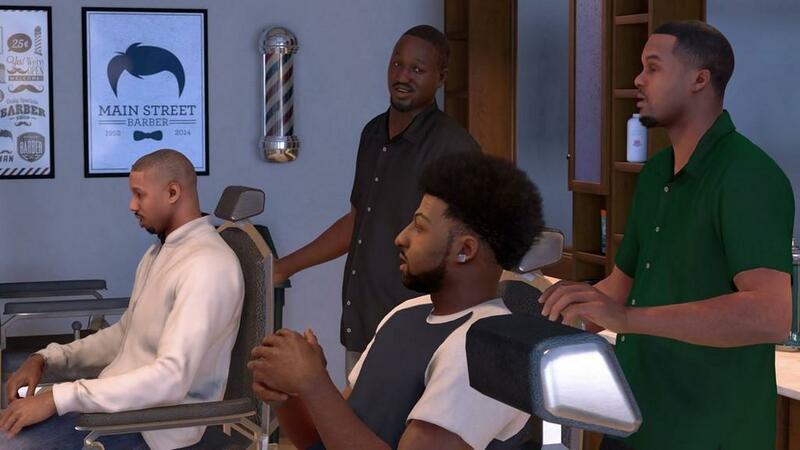 NBA 2K17 makes it easier to be a lottery pick, thus making the story a little more believable. You’ll still have to work hard to have any success as a NBA player once you get drafted though as it’s no cakewalk to play again NBA players, but at least you don’t have to fight as hard to be considered a higher draft pick like it was in the previous version. There are a few more colleges to choose from this time around, and it’s here that I wish Visual Concepts integrated more college teams or make a college basketball game. They did such a great job at capturing the college atmosphere that I’m hoping it won’t be too long before we can get all the college teams in there with a full college schedule. Then, you would have a complete experience from playing a college game and going pro whether it be after your Freshmen year, Senior year, or anytime in between. Improving your player relies on spending virtual coins and as you can deduce, you can either slowly earn them through training and other activities or shelling out cash. It’s something I wish wasn’t in NBA 2K17 as it feels too much of a grind to earn enough coins to improve your stats. It gets really expensive when you start to really get some attribute in the upper level, which can make the grind even worse. So here, Visual Concept’s decision to tie virtual coins to improving your virtual player takes some fun out of MyCareer. MyCareer still presents you with the unrealistic scenario of only signing a one year deal as a rookie and letting you sign a free agent deal with another team after the first season. No high draft pick does this and it’s very rarely done at all. K.J. McDaniels is the only one that comes to mind that signed a one year contract coming to the NBA, but he was a second round pick, not a first rounder. I guess this does allow you to got to your favorite team easier and earlier should you not like who picks you in the draft, but it’s certainly not a realistic scenario. If you want to scan your face into the game, Visual Concepts has moved this to the mobile app and removed it from the main game itself. Cameras on phones have outpaced the console cameras so you should get a better quality scan. 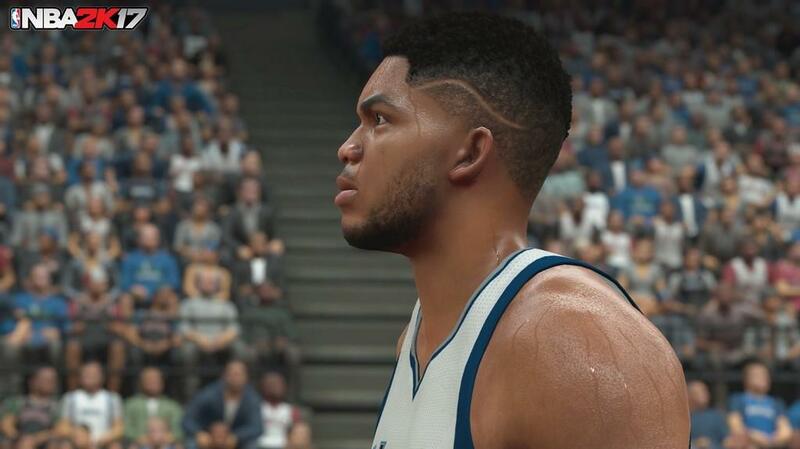 In my experience, the face scanning in NBA 2K17 is far more accurate than the NBA 2K16 version, but I’m sure we’ll see some crazy ones on the Internet soon enough. MyLeague is a nice feature to let you customize a league to your liking. Do you want the Seattle Sonics back in the league? 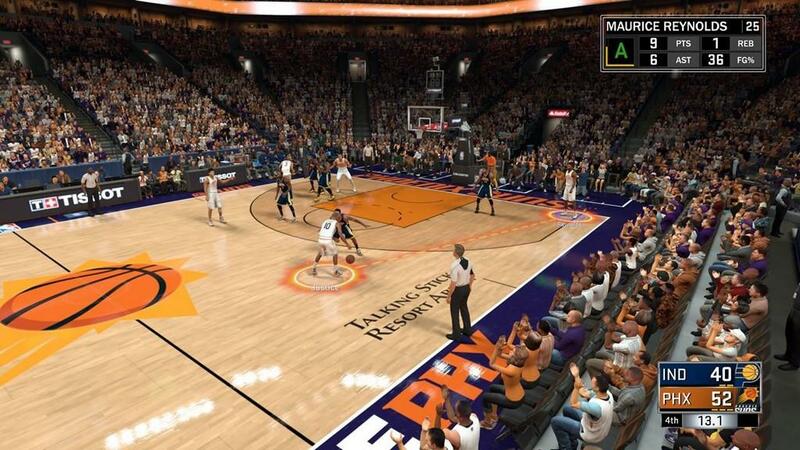 Now you can and the game will dynamically adjust the schedules to fit up to four new teams in the association. You can even adjust the rules as well. Just like how the CBA can change some rules when it’s renegotiated, you can change the rules before the season starts to try and make the game better for your needs. During MyCareer, you’ll play for the USA Basketball team against Australia so one of the teams available for exhibition play is the Rio USA Basketball group. NBA 2K17 only includes Australia as the other Olympic team to choose from, which is a little disappointing as Spain and Argentina would have been nice additions as well. You do get to choose the famed Dream Team of 1992 to play with and it’s pretty sweet to play as Michael Jordan, Patrick Ewing, Magic Johnson, and Larry Bird to name a few. Of course, some of the more dominant classic teams are available again to play with. Michael Jordan’s championship Bulls teams, the Showtime Lakers, and a Dr J. 76’ers team are some of the past greats to choose from. If you want to test some of the classic teams against each other or a modern team, NBA 2K17 will let you do so. Overall, NBA 2K17 is a nice improvement over the previous year’s version with better on court action, improved graphics, and a top notch presentation. Visual Concepts offers plenty of ways to play the game and there’s something here to offer those who want to just play the game, dig deep into managing a league, or anything in between. Like the Cleveland Cavs, NBA 2K17 is a championship caliber basketball game.